Persepolis Persian Empire: Situated 70 km northeast of modern day Shiraz in the southern Fars Province, Persepolis (Persian city) was built by Darius I and his successors over a 50-year period. Spanning an area of over 125,000 square meters, the Achaemenid capital was known for its stunning inscriptions, unique architecture and wooden columns made of tall Lebanese cedars and Indian teak trees. Persepolis consists of the remains of several monumental buildings on a vast artificial stone terrace about 450 by 300 m (1,480 by 1,000 ft). A double staircase, wide and shallow enough for horses to climb, led from the plains below to the top of the terrace. Shiraz is considered the heart of the Persian culture for over 2,000 years. It is one of the most important cities in the medieval Islamic world during the Zand dynasty. The ruins are huge, which shows the city’s size, its grandeur, and dominance of the empire. Everything is so well preserved that it is easy to imagine what life was like back then. Shiraz mosque Aramgah-e Shah-e Cheragh is exclusive to Muslims. The entry of people from other religions is not allowed, but with the help of a guide, you can get there. This mosque is one of the most important of Iran because one of the main religious leaders of the Islam was killed inside it. There are some basic rules: women must wear the chador, there is a separate wing for women and men, and everyone must remove their shoes. From the time of its barbaric destruction until A.D. 1620, when its site was first identified, Persepolis lay buried under its own ruins. During the following centuries, many people traveled to and described Persepolis and the ruins of its Achaemenid palaces. Many of their observations were later condensed and published by George N. Curzon in Persia and the Persian Question (London and New York, 1892). 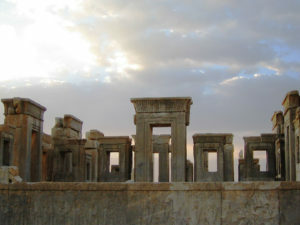 According to tablets inscribed in Old Persian and Elamite found at Persepolis, it seems that Darius planned this impressive complex of palaces not only as the seat of government but also, and primarily, as a showplace and a spectacular center for the receptions and festivals of the Achaemenian kings and their empire. Darius lived long enough to see only a small part of his plans executed. 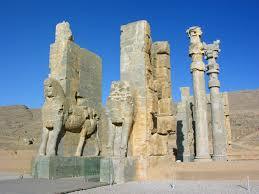 Persepolis remained the center of Persian power until the fall of the Persian Empire to Alexander the Great. The Macedonian conqueror captured Persepolis in 330BC and some months later his troops destroyed much of the city. Famously, the great palace of Xerxes was set alight with the subsequent fire burning vast swathes of the city.